- Removes stains, in-ground dirt and grime build up. - Re-hydrates and protect leather while it cleans. 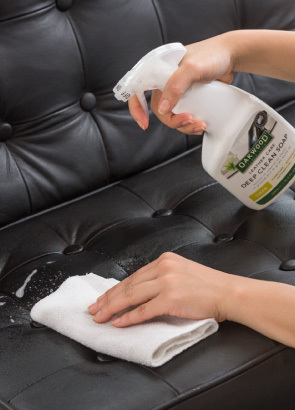 Provide a deep clean with your leather furniture, upholstery, and any accessories with this quick and easy to use spray! - Old and new fine leather furniture and chairs. Step 1. Dust off leather. Step 2. With a soft cloth, apply cleaner directly to leather. Step 3. Rub well before wiping off excess cleaner and dirt, with a dry cloth. Tip: Use a light, soft bristle brush and gently rub leather cleaner into surface in a circular motion for stubborn stains and marks. 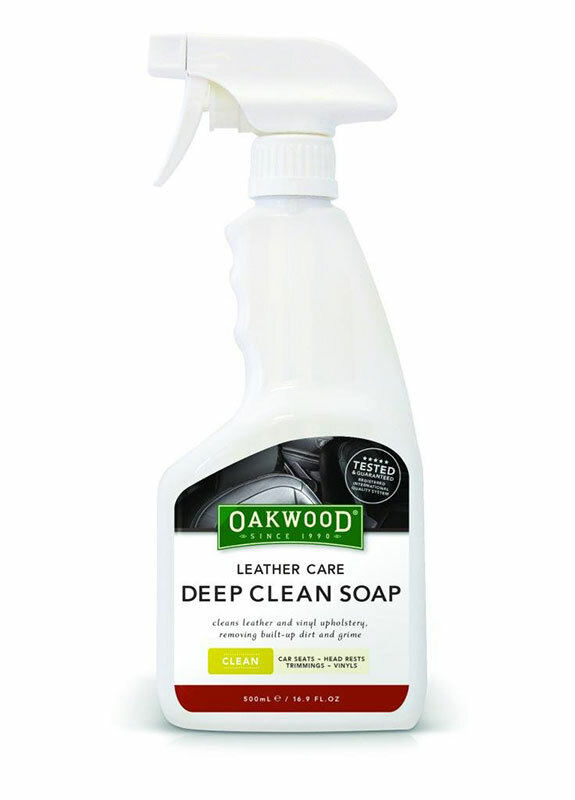 Use Oakwood Leather Deep Clean Soap on leather items every 2 to 3 months, as part of a regular cleaning regime to ensure your leather product is protected and maintained. NEXT STEP: Condition - USE Oakwood Leather Care Hydrating Cream.